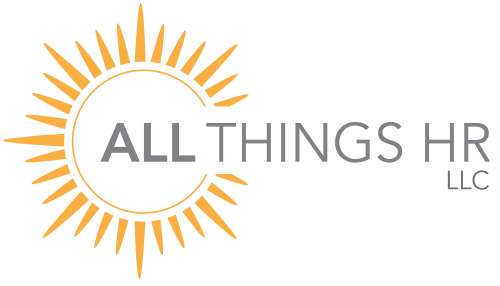 Through a series of entertaining, short vignettes and interactive panel discussion with employment attorneys and HR professionals, All Things HR, LLC and Jackson Lewis, P.C. 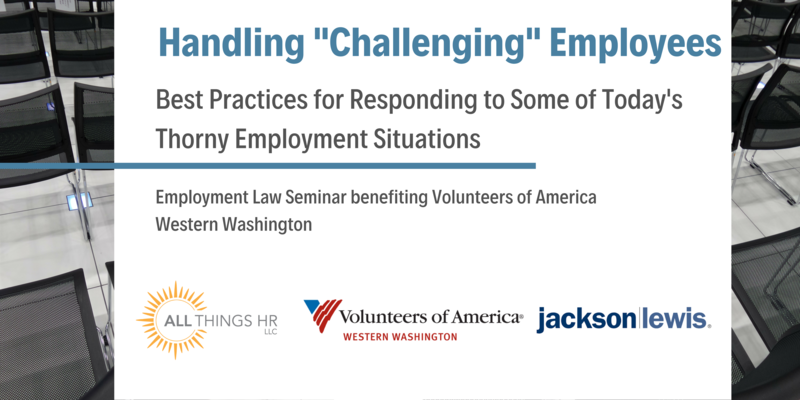 will address a number of difficult challenges for today’s HR professionals, including contentious employee political beliefs, recreational marijuana, criminal history discovered post hiring, protected activities under the National Labor Relations Act, perceived disability, accommodation, retaliation, and employee attitudes and morale. The presentation is intended to generate informative discussion by our panel of experts, as well as our attendees, as it pertains to how both a Department Manager, HR Manager, and CEO handled the situations presented, and how in hindsight they could have been handled better for all involved. All event proceeds will benefit Volunteers of America Western Washington and its efforts to serve and protect our community’s most vulnerable individuals. Check out VOAWW’s website to learn more about this incredible organization and the important work it performs: https://www.voaww.org/.